Have you been watching Claire’s costumes so far this season? How carefully? In this interview from last month The Muse sat down with Terry Dresbach and discussed all the details over the opulent costuming for Season 2. If you have had any questions that Terry hasn’t answered for you on social media it can probably be found in this interview. From the “how longs”, to the “whys” of the characters structure and color choices for their costumes. The full article can be found HERE. 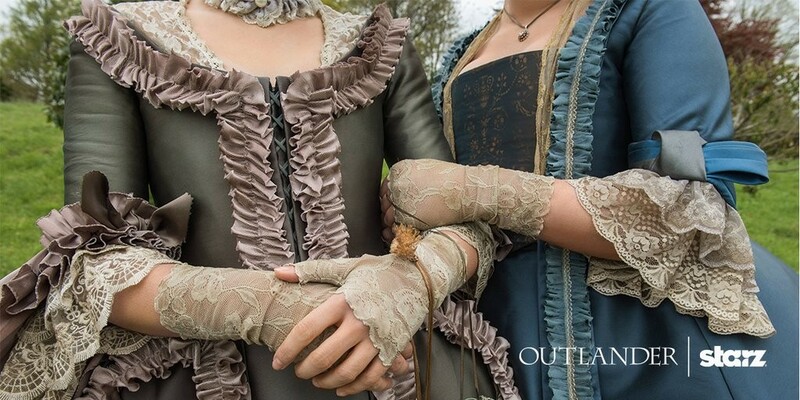 This entry was posted in Interviews, Production Designers/Costumes, Terry Dresbach and tagged Costumes, Outlander, Season 2, Terry Dresbach by Ashley Fendt. Bookmark the permalink.